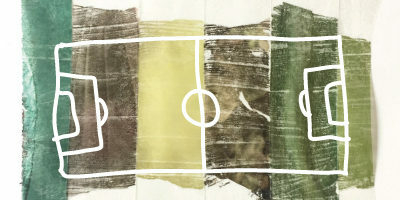 Finished the previous post telling about one of my reference books here in this blog: Scorecasting: The hidden influences behind how sports are played and games are won. One of the studies that the book mentions was made by two Spanish economists that in 2005 set out to see how peer pressure affects human decisions. Luis Garicano and Ignacio Palacios-Huerta counted the extra minutes added by referees in the Spanish league, taking into account the result of the score in the 90th minute. In most cases, the referees added about three minutes on average, but when the difference was only by one goal there was a clear deviation: if the home team was winning, the average went down to about two minutes. 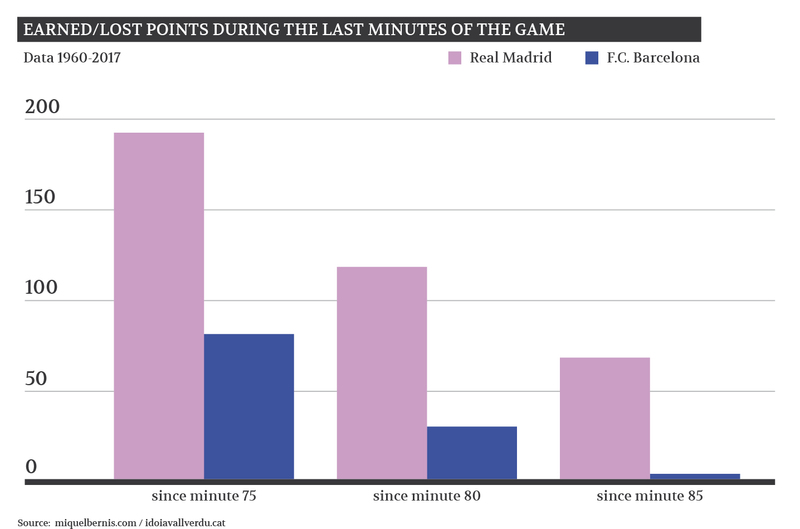 On the contrary, if the away team had an advantage of one goal, the average of extra minutes added went up to four. 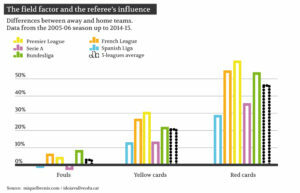 To learn a bit more about this, we have analysed how many fouls per game have been awarded to home teams and away teams in the last ten years, and also how many yellow and red cards have been shown. The result is that in the overall of the five leagues 2.6% more fouls are awarded to away teams than to home teams, but in some countries home teams are the ones that are awarded more fouls. 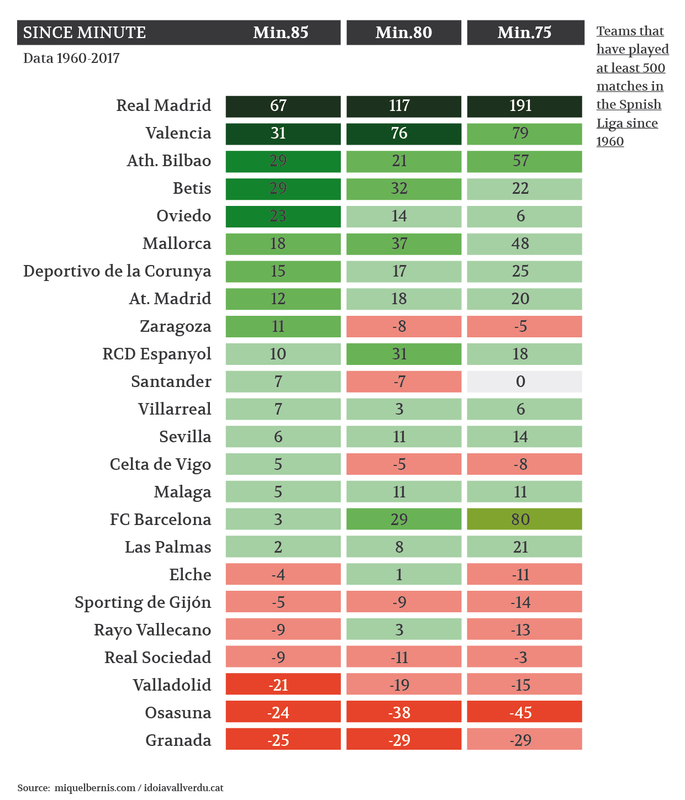 The difference, however, soars according to the gravity of the sanction: away teams see 20% more yellow cards than home teams, and up to almost 42% more red cards. 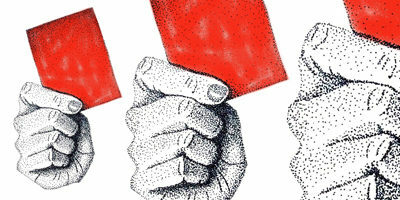 It is true that while the referees blow for more than 10,000 fouls per season, they only show 100 red cards, making it easier in this regard for the differences in percentage to be higher. 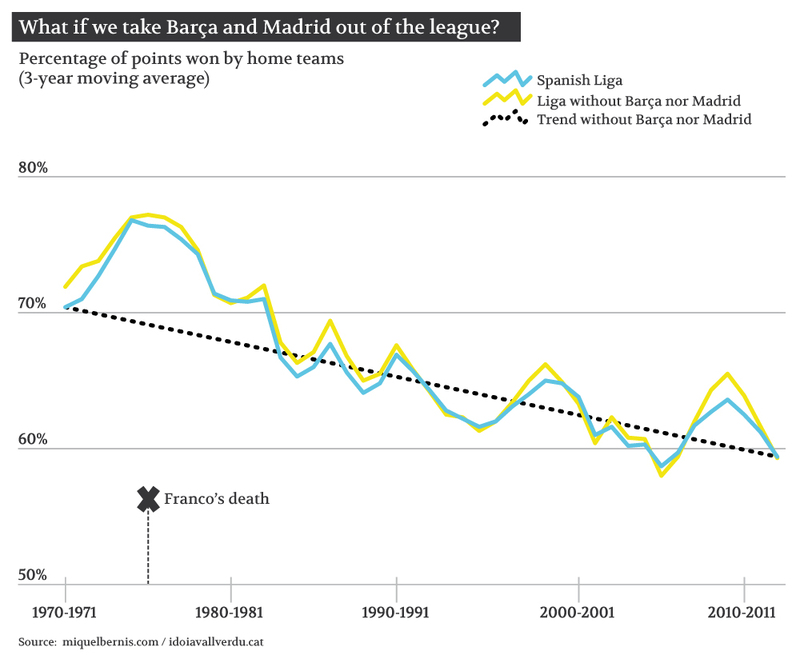 But looking at the figures, it is not nonsense to think that the referees favour more home teams the more difficult the decision they have to take is. 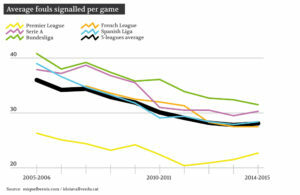 From the statistics of these ten seasons other curious facts can be drawn: the number of fouls awarded has dropped self-evidently in every league, and specifically in the Spanish league it has dropped from almost 15,000 in the 2005-2006 season to less than 11,000 per season for the last three years. Overall in the five major leagues in ten years, referees have gone from blowing for 35 fouls per game to about 28. 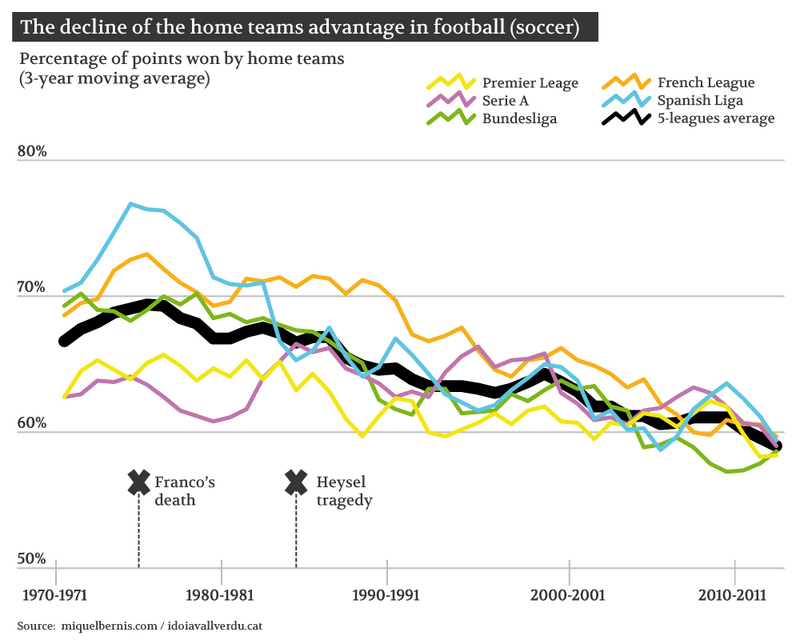 The evolution is very similar in four of the five competitions, but in English football is quite different, and the data clearly confirms one of the classic stereotypes of the European football: English football is clearly where the referees give more freedom to play. 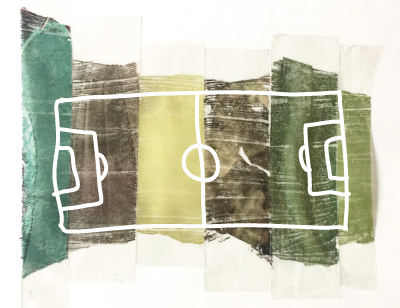 But also in this aspect there is a trend towards standardization since ten years ago in England referees awarded about 13 fouls less per game than in other leagues, and in the last two season the difference has stood at around 7. 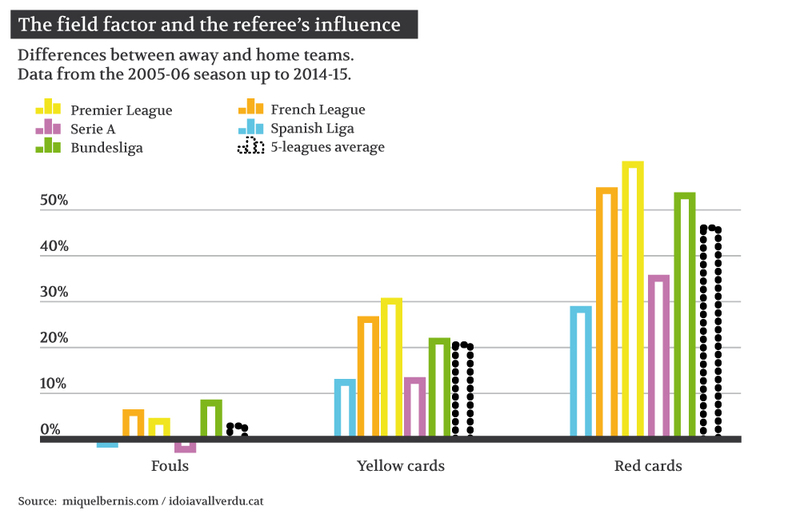 This clear and continuous decline in the number of fouls awarded per game has not been accompanied by a decline in the number of yellow cards: in general, about 4 per game are shown, a figure that has hardly changed in the last 10 years. The Spanish league is where more cards are shown (5.2 per game) and in England where less (3.2). What we can see is a slight drop in the number of players sent off, but the trend is nowhere near as remarkable as the number of fouls. On average in the five competitions a total of 0.25 red cards per game are shown, that is there is a player sent off in every 4 games. 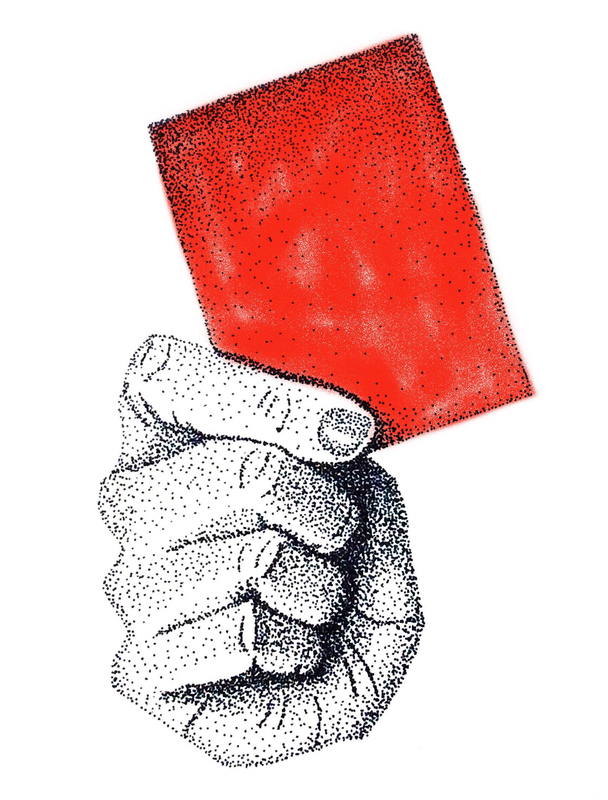 It is also in this aspect that Spain leads in the card tally, since a player is sent off by the referees every 263 minutes on average, whereas in England a player leaves the pitch every 518 minutes.